Russian President Dmitry Medvedev has held talks with the freshly-elected president of Abkhazia, Aleksandr Ankvab, and ratified the agreement on Russian military base in this Caucasian state. 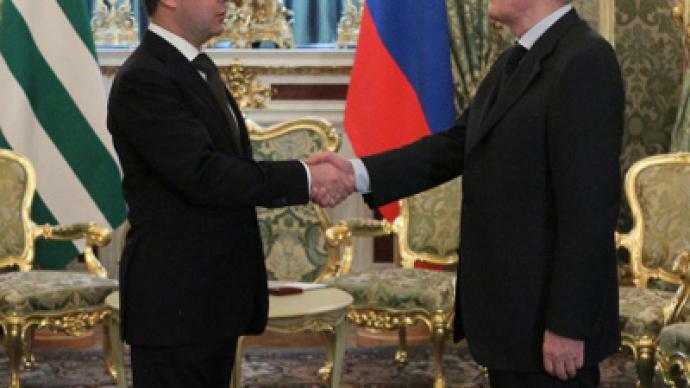 The meeting between the two presidents took place in the Kremlin on Thursday. Russian Foreign Minister Sergey Lavrov and presidential aide Sergey Prikhodko also participated in the talks. From the Abkhazian side the meeting was attended by Finance Minister Beslan Kubrava and deputy head of the presidential administration Vyacheslav Chirikba. During the talks, President Medvedev told his Abkhazian counterpart that he had signed the law on ratification of the agreement between the two countries about the Russian military base in Abkhazia. The presidential press service has reported that the new agreement sets the period of Russia’s military presence in Abkhazia at 49 years, with automatic prolongation every 15 years thereafter. The military base will secure the safety of Abkhazia, Russia, Russian aircraft, navy ships, ground transport and communication lines. It will also help to defend the state border of Russia and Abkhazia and conduct the border-crossing procedure. The agreement between Russia and Abkhazia also secures diplomatic immunity status for all Russian servicemen stationed at the base, as well as to and their family members. 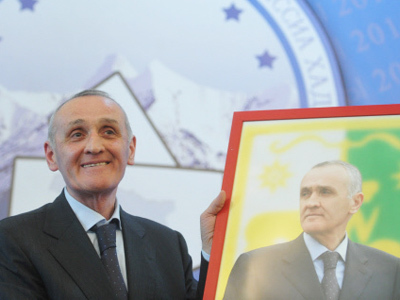 The law also ratifies similar agreement between Russia and another independent Caucasian state – South Ossetia. The agreements provide that Abkhazia and South Ossetia transfer the real estate on the Russian military base sites to the Russian sides for free use within the next six months. The parliaments of the two states have already ratified the corresponding agreements. 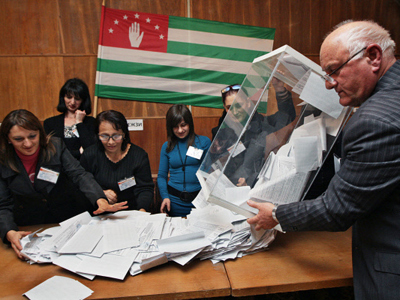 Since the establishment of diplomatic relations in 2008, Russia and Abkhazia have signed a total of 60 agreements on co-operation and 30 more documents are now in the works, the Kremlin press service reports. The trade turnover between the two countries has doubled and amounts to over US$225 million. Russia has introduced a special plan to aid the Abkhazian economy and created a logistics center in the republic that is working mostly for the construction of the Russian Olympic site in the city of Sochi across the Caucasian ridge. In the course of the talks, President Medvedev also said that he had awarded the late Abkhazian leader Sergey Bagapsh with and Order of Courage. The posthumous award was handed to Bagapsh’s widow in Moscow on Thursday. 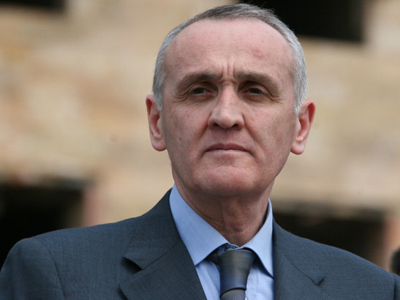 Bagapsh, who headed Abkhazia from 2005 and who showed courage and selflessness during the 2008 political crisis in the region, died of a lung disease in September this year.